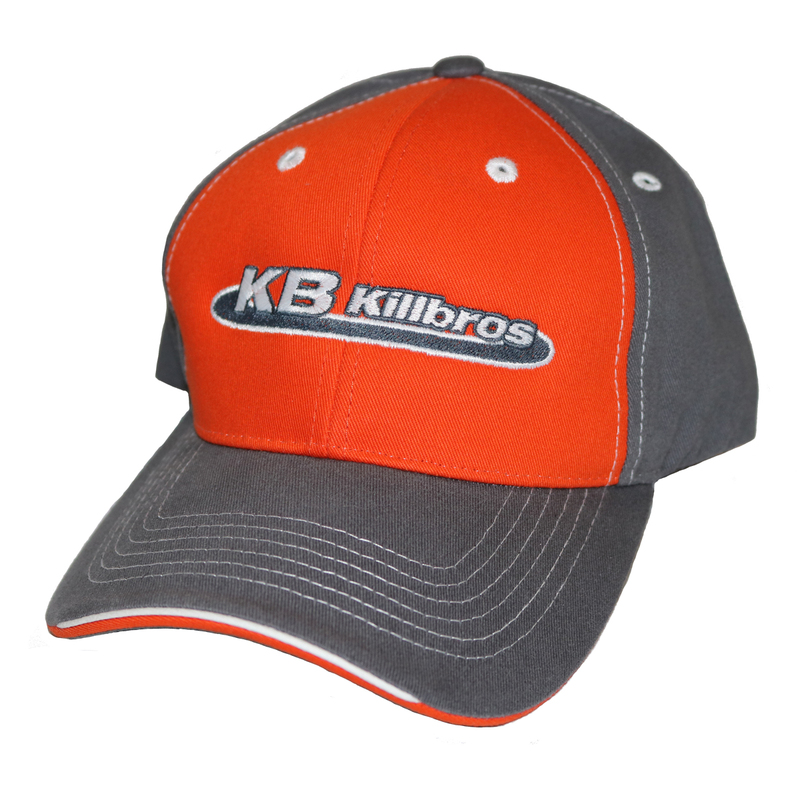 Killbros Orange and Charcoal Hat - HATS - Unverferth Mfg. 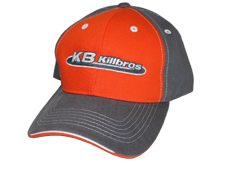 Hat - Orange/charcoal color with Killbros logo in charcoal and white embroidered on the front. Contrasting white stitching and eyelets, and a layered sandwich bill make this hat stand out. Elastic fabric strap with adjustable velcro for size.